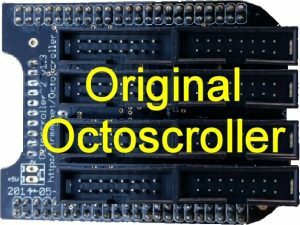 The octoscrolla is a pcb that is designed to plug into a Beaglebone Black (BBB) running Falcon Player (FPP) to allow you to run up to 64 P10 led pixel panels. 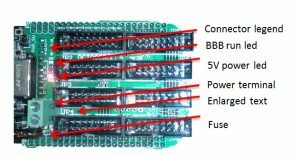 Each of the 8 16 pin connectors can control up to 8 P10 panels. 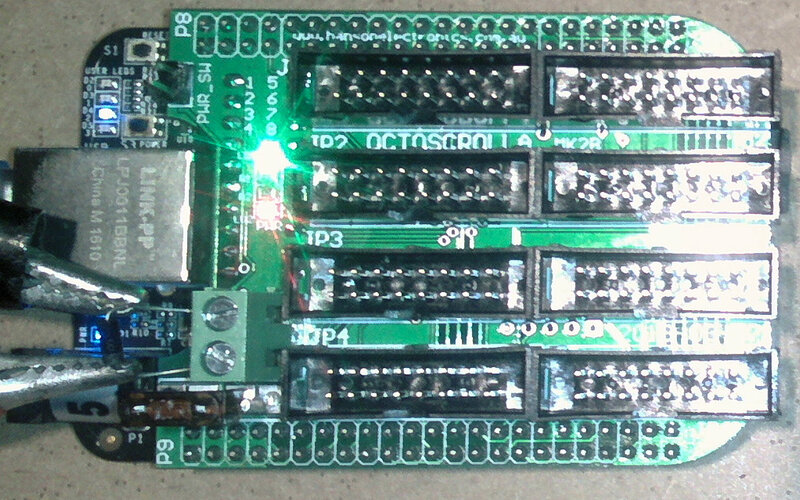 The octoscrolla has a power connector to power the BBB from 1 of the power supplies running the P10 panels rather than using the BBB power connection or USB powering option. 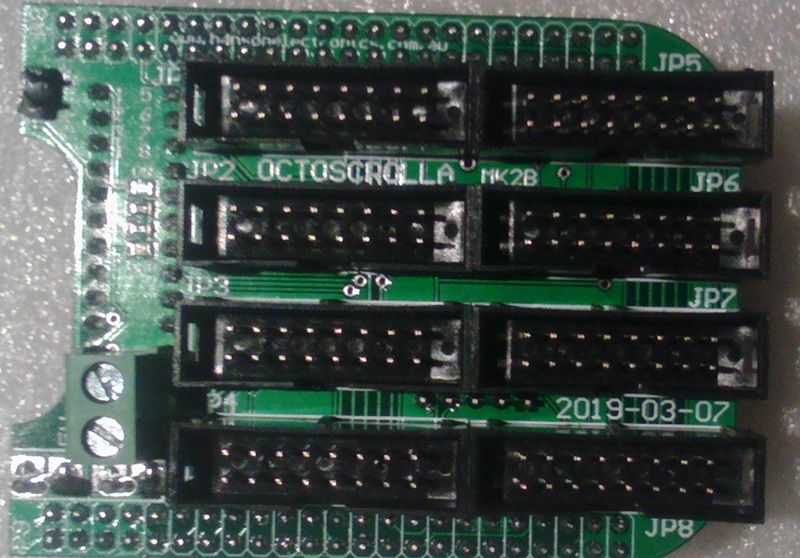 When connecting between an octoscrolla and a P10 panel ensure that the notch on the 16 way IDC connector is around the correct way. 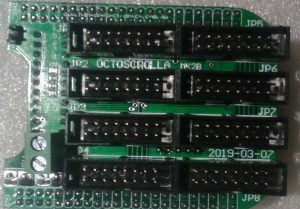 Do not connect or disconnect connectors to the octoscrolla while either the BBB or P10 panels are powered. 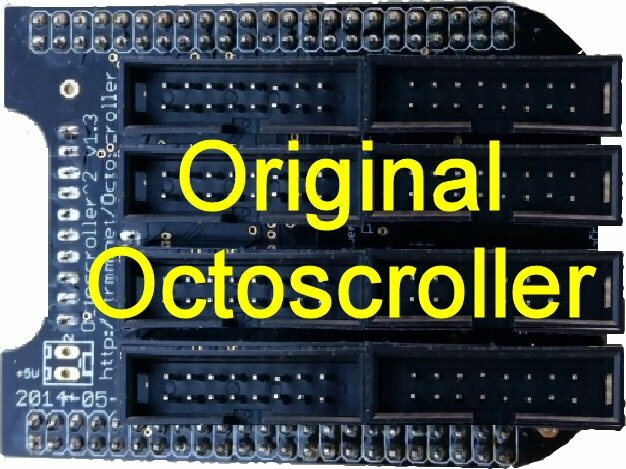 This is an improved version of the octoscroller and improved over the original octoscrolla. 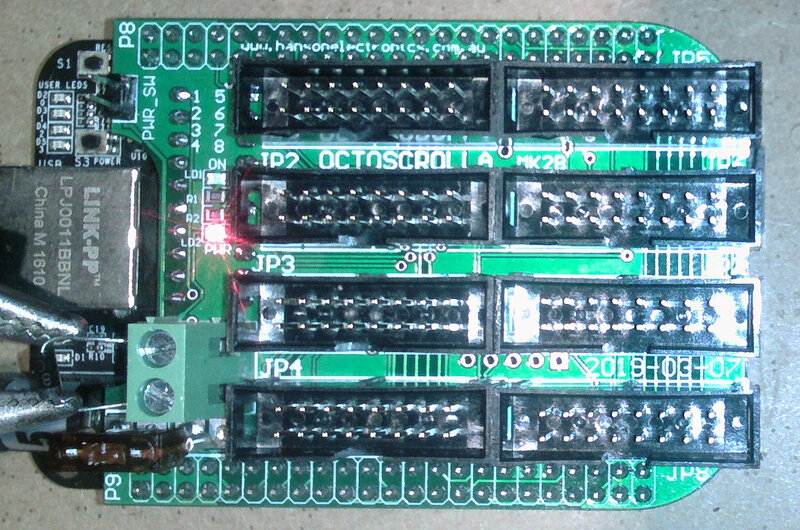 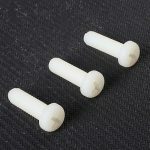 -It has a 5mm screw terminal for powering the BBB. If using the 5V connector to power the BBB from the Octoscrolla then some/all BBB variants require a fast voltage rise of the 5V for the power circuitry in the BBB to be happy. 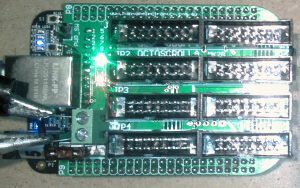 Some power supplies don’t meet the 500us (?) 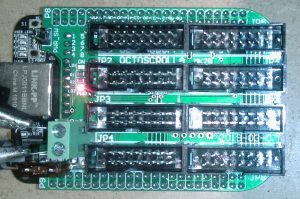 rise time so a switch to turn on the 5V after the power supply has been turned on is recommended.